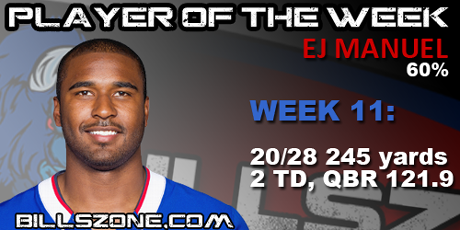 EJ Manuel is named BillsZone Player of the Week. This is the first time Manuel has been named player of the week. Jairus Byrd finished 2nd with 30% of the vote.